The War Between the States produced some of the most outstanding civil and military leaders in the history of mankind. To perpetuate the idealism that animated the Confederate Cause and to honor the courage, devotion and endurance of those who dedicated their lives and services during four years of devastating war, and who, throughout the dreadful decade of reconstruction, labored heroically for the restoration of self-government as the most precious heritage of the American Revolution, male descendants of the officers who honorably served in the Army, Navy and other commands of the Confederate States of America and male descendants of the elected and appointed officials of the Confederate Executive and Legislative branches of government unite to establish The Military Order of Stars and Bars, a patriotic Society. This Preamble shall not be subject to amendment or change. On June 10th, 1889, in New Orleans, Louisiana, a group of proud surviving soldiers of the Confederate States of America organized an association called the United Confederate Veterans. Its goals were to protect and defend the honor and dignity of the memory of the Confederate soldier. As the ranks of the aged veterans of the UCV began to thin with the passage of time, a group of the surviving Confederate officers met in Columbia, South Carolina on August 30th, 1938 to discuss their concerns that the unique contributions made by the Confederate leadership were not properly chronicled in our nation’s history books. They felt a particular duty fell to them as members of the Officers Corp. This first meeting of what they named the “Order of the Stars & Bars” was convened with a great deal of enthusiasm by seventeen former Confederate officers as well as an additional forty-seven male descendants of Confederate officers in attendance. These dedicated men were unanimous in voting to begin a new CSA veteran society that would hold annual meetings. The OSB was unique in that the organization was made up of veterans and their descendants with the understanding that as the original Confederate officers died that it was the sacred responsibility of their male offspring to continue to carry on the purposes of the Order. The first Commander-in-Chief was Captain Homer Atkinson of Petersburg, Virginia. He served as the chief officer of the Order from the beginning until his death in 1945. In addition to commanding the new Order, Captain Atkinson also served two terms as Commander-in-Chief of the United Confederate Veterans. Other successful leaders who later assumed the role of commander included Gen. Robert E. Lee’s grandson Dr. George Bolling Lee. Eligibility qualifications were later broadened to allow collateral male descendants of Confederate commissioned officers as well as of any elected or appointed member of the Confederate Government. This brought additional members and new vigorous leadership to the Brotherhood. The name of the Order was changed to “The Military Order of the Stars & Bars” at the 39th General Convention held in Memphis, Tennessee in 1976. 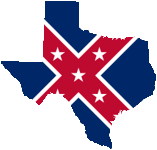 The first National Flag of the Confederate States of America, the Stars and Bars was accepted as the official insignia of the Order and the commanding officer title was changed to Commander General of the Military Order of the Star and Bars. Today the fraternal Military Order of the Stars & Bars, a non-profit 501(c) 3, non-political educational, historical, patriotic, and heritage group continues its dedication to the preservation of Southern history and remains the only heritage organization actually founded by Confederate veterans. A wide range of programs have been added to reorganize outstanding contributions in the fields of history, fine arts and journalism. College scholarships are offered to worthy candidates to emphasize the need for truth in Confederate history. Prestigious literary prizes are awarded to authors and publishing houses. Monuments are being erected to the CSA soldiers. Journalists who practice ethical and fair reporting of local and Southern history are recognized. An emphasis is placed on American Patriotism and the honoring of all American veterans of all wars.